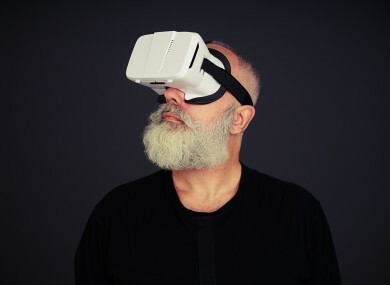 IT HAS TAKEN a while but the first generation of virtual reality (VR) headsets are here. We’ve tried them all out and while the experiences they offer differ in many ways, there are a couple of things you should keep in mind. Depending on the type of headset you have, the setup process will either be really easy or long. For HTC Vive, you have to set up sensors in your room so it can track you and Oculus Rift goes through a similar process although not as rigorous. For mobile ones like Gear VR or Google Cardboard, you just slot your phone into the headset. You have to do this with Gear VR first as that prompts it to download the Oculus store app, where you’ll get your experiences from. It’s also worth taking some time to familiarise yourself with the controls too. Depending on what you have, you will have a standard controller, motion controllers, or just the headset itself. Motion controllers are more intuitive, but they have a number of buttons that you should get a feel for first. If you just have a headset like Gear VR, then you’ll just have to use the touchpad and back button at the right hand side. This may take a bit of getting used to, especially if you’re playing quick react games like Temple Run VR. Unless you have HTC Vive, which has some games that let you physically walk around spaces, you don’t need too much space to play games. The minimum amount of space would allow you to turn around fully without you hitting or bumping into anything. Even with the high end headsets, you should remember that you’re not going to get the same picture quality as you would a TV. You’re looking at a blown up version of a small screen so it’s unrealistic to expect HD-quality images. Even with the more accessible ones like Gear VR, the outskirts of your sight might be a little blurry. None of this affects the immersiveness of it (unless you really allow it to) as you’ll be focused on what’s happening in front of you, but you’ll likely drive yourself crazy if you try to constantly change the focus to fix this. The same thing with games and experiences. We’re still in the beginning stages of VR so most of the experiences will reflect that. There are some very entertaining games and experiences out there but the experiences are more like the original Game Boy than current Xbox One and PS4 games. One thing that isn’t usually mentioned when you try out VR is how it could affect you physically. Nausea is a real possibility and and if you’re feeling a little off while wearing it, take a break from it. It may be virtual but since your eyes don’t know that, you should ease yourself in. The other impact is through prolonged use. Since you’re wearing a tight headset on you, using it for longer periods will leave some red marks on your face, mainly your nose, forehead and sometimes the top of your cheeks. There isn’t really a solution for this but it’s not sore and the marks will disappear rather quickly. And try to remember that the furniture and items you see aren’t real. It does sound silly, but when you accidentally walk into a table or object in-game, you will brace yourself for impact instinctively. So long as you don’t try to lean on objects in-game, you’ll be fine. For now, the range of experiences on offer is a bit limited but that’s to be expected since it’s a very new medium (in consumer terms). And those experiences range from fantastic to meh. There are a number of short films, both preloaded and streamed, and games that place you in the action, but the best ones are passive experiences like Land’s End or The Night Café, ones that are more about exploration and taking in your surroundings. Some games require you to own a controller so your choice will be more limited, but when you have demos of you being underwater with sharks and dolphins, smashing glass or flying through the Avengers tower, it’s hard not to be impressed. Also, all of this is designed to be played at home or at least in a room where you a decent amount of space. All the spinning around won’t make much sense to those watching you playing a game or viewing a movie (although it can be funny sometimes). For now, it’s not an essential purchase. Oculus Rift and HTC Vive are really designed for gamers with high end PCs so unless you have money to burn, you should wait until the cost and hardware requirements become more accessible. In the case of Gear VR, it’s probably the best middle ground people have for accessing VR now. If you’ve already paid for a compatible Samsung phone, then the extra €99 isn’t going to cripple you. Since it’s mobile, the resolution isn’t as high but it gets the main things right and that’s what matters. Google Cardboard is the most accessible version by far since it only costs €25 for a headset, but the low resolution and limited input means it’s better for passive experiences. Email “Virtual Reality is amazing - but there are a few things to keep in mind”. Feedback on “Virtual Reality is amazing - but there are a few things to keep in mind”.